INNISFIL, Ontario — The 2018 season will end with Rick Spencer-Walt having a pair of championships to celebrate as he was crowned the 2018 Great Lakes Concrete Series Champion on Sunday at Sunset Speedway’s Velocity 250. 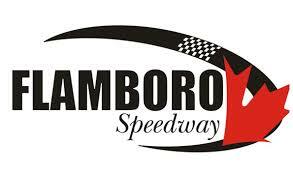 The 2018 Sauble Speedway Champion started off the weekend by finishing sixth in the first heat, followed by a third in the second qualifier. Starting 13th for the 75-lap feature, he would move into the top-10 in the opening 10 laps, and remained 10th until he would begin to slow on the 18th lap. Eventually rolling to a stop on Lap 19 after reporting “no gears” over the radio, he would be forced pit side for the rest of the feature with a mechanical issue. Forced to watch on the sidelines, the mathematical scenarios rolled through the mind over the course of the event. Ultimately, a fifth-place finish from Jordan Lawrence saw the pair tie for the points lead. With the tiebreaker coming down to wins, Spencer-Walt was able to get the title as despite the final race ending in disappointment, the six-race mini series was full of success for the Eldon Wellis-owned team with three victories, a runner-up, a fourth, and the 19th in the Velocity 250. Notably, Spencer-Walt picked up eight wins and 19 top-fives in his last 21 races at Sauble Speedway and Sunset Speedway, combined. With the titles locked up, the team has fixed the No. 31 Late Model and will be looking to add another victory to the list this weekend with a win at Jukasa Motor Speedway’s Fall Brawl. The Eldon Wallis-owned team is proud to be supported by Gohydrovac.ca, Jim Wilson Chevrolet, Auto Trim Design, Byer’s Equipment Motorsports, Orser Technical Services, Heidi’s RV Superstore, GreenSteelRoof.ca, HOTC, Speedy Auto Glass Orillia, Frame Shop Huntsville, Speedy Auto Machine, Red Castle Performance, and EPIC Racewear. Keep up with Rick Spencer-Walt and Spencer-Walt Motorsports by liking their facebook page at https://www.facebook.com/pages/Walt-Motorsports/524817640964689?fref=ts and following Rick Spencer-Walt on twitter at https://twitter.com/Rwalt31.